Think you know all of the tricks at your favorite Internet sites? Think again. Even if you’re on Google, Facebook, and YouTube every day, you might not be tapping those sites’ full potential. Read on to speed up your Internet abilities, unlock new features, and find a new favorite tip or two. Search within a site: Narrow down your search results to a single site. Type (search query) site:(domain); an example would be entering: video card tips site:pcworld.com to find pages only at that location. 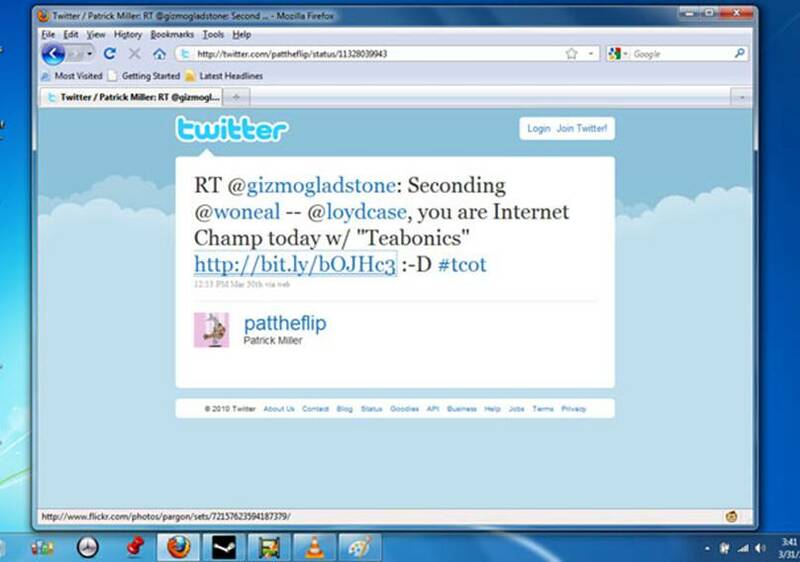 You can even limit results to within sections of a site, as in this example: twitter site:pcworld.com/businesscenter. An example of limiting search results to only a certain file type. Search for file types: Maybe you want to track down a certain document that’s a PDF. Enter your usual search string plus filetype:pdf to find only those pages. This method also works with PostScript (ps), Office docs (doc, ppt, xls), Rich Text (rtf), Plain Text (txt), and more. You can find a list of searchable file types here. Exclude results: Include a minus sign to exclude certain results. Suppose you want to find news about Apple unrelated to the iPad. Type Apple -iPad. You can also combine the previous tips, such as Apple -iPad -site:apple.com and Apple -iPad -PDF. Get local details: Forget manual time conversion; just enter time [city] (as in Time Tokyo) to get the current local time. Or try weather [city] for a forecast. For more local details, try [city] map, movies [city or ZIP code], and [restaurant name or cuisine] [city or ZIP code]. This works for a few other regular search strings, like Weather [city], stock quotes, and more–check out Google’s full list. Make conversions: Swap units of measure, such as measurements of volume or distance; this works for converting different currencies, too. Try [number and unit] in [new unit] such as 7 inches in cm or 30 Euros in USD. Dislike distracting photos? Enter http://www.bing.com/?rb=0 in your browser to bring up a plain, gray version of the site. Find links to files: Find pages that host or lead to certain file types, such as music. Enter [search term] contains:[file type] such as Wilco contains:MP3 to find MP3s from the band Wilco. 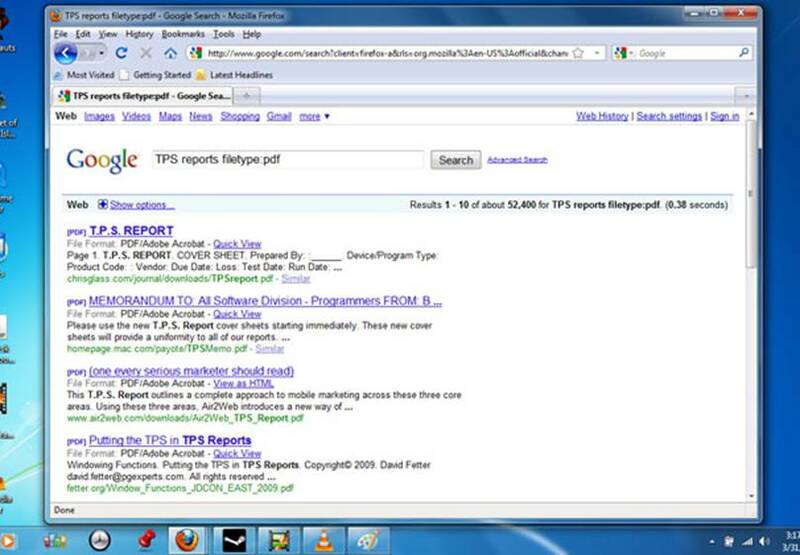 Try this kind of search with many other file types, such as WMA, PDF, AAC, DOC, and nearly anything else. Remove the background image: Bing sure is cute, but its big photos can be distracting. Visit http://www.bing.com/?rb=0 for a plain, gray version of the site. 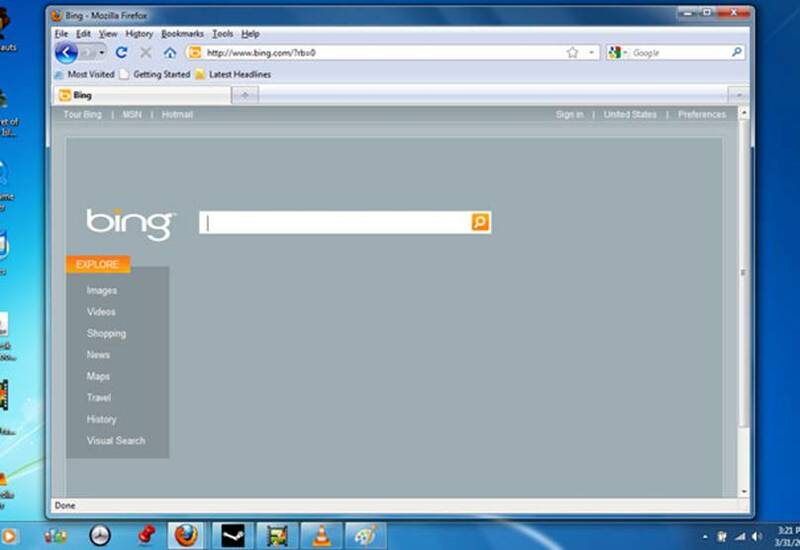 Save Bing searches as RSS feeds. Save searches as RSS feeds: If you want to stay on top of hits to a search query, turn it into an RSS feed. After loading your results, append &format=rss to the end of the new URL, and view it in your favorite RSS reader. Hide application notices: Are you sick of Farmville, Mafia Wars, and other Facebook apps cluttering your feed? Mouse over the entry, and click Hide. You’ll block those alerts from your wall. Invite a list of friends to an event: You don’t have to manually click a bunch of friends to send event invitations. Instead, create a list first. Click Friends in the left column, and use Create a List on top to pick certain friends. When making an event invitation, click the Filter Friends tab to show only the list. Click Select All. Hide content from certain contacts: Keep your mom and work acquaintances from seeing messages intended for your inner circle. Click the lock privacy icon, and choose Customize. From there, you can hide the post from specific people, or show it only to your entourage. Cut to the core: The Lite version of Facebook strips away most of the clutter in the main design. It’s great if you’re on a slow Internet connection, browsing on a netbook, or just want to avoid the usual mess. Browse to lite.facebook.com to give it a try, and click the link at the top of the page to toggle back to the full site. Schedule tweets: You can set up a schedule for your Twitter account, so posts can go up while you are asleep, or–heaven forbid–are away from your gadgets. This way, you’ll be able to tweet across time zones (so your international followers won’t have to scroll all the way down to hear from you, perhaps), and keep your Twitter account active when you need to focus on a project. Many sites offer this feature, including HootSuite, SocialOomph, and Twuffer. I like Twuffer for its simplicity, although the others have additional features, such as Facebook support. Get deals by following companies: Some of your favorite companies might post deals to Twitter. You’ll have to sort away businesses that spam followers too often, but I like following @amazonmp3, @amazongames, and @woot. If you really want to step up your hustle, make a new Twitter account specifically for landing freebies so the spam won’t get to your real one. Keep it all straight with a twitter client that manages multiple accounts, such as Tweetdeck. Learn about current events: Look for your local Happen.in feed, which charts Twitter chatter based on your location. If a bunch of people in the same area post “bridge out,” Happen.in will repost the details so that you keep on track of regional events and trends. The Twitter Website includes similar functionality in the right-hand column. Adjust those Trending settings to set it for your area. Expand URLs: Shortened links could send you to a funny YouTube clip, a popular article in the New York Times, or a site designed to riddle your PC with malware. Use a Greasemonkey script (a Firefox add-on) and just hover your mouse over the cryptic URL to see the full version at the bottom of the window. If you’re in a different browser, try pbtweet. Toggle mobile formatting: Many Websites detect your mobile browser and offer up a mobile version of themselves with bigger fonts and simpler formatting. If a site doesn’t do this automatically, try putting m. or mobile. at the front of the Web address (URL), as in http://mobile.pcworld.com. If you want to swap a mobile site into its full, PC design, look for a link at the top or bottom of the page. Get e-mail as texts: You can have email messages sent to your phone as texts, which can be convenient. 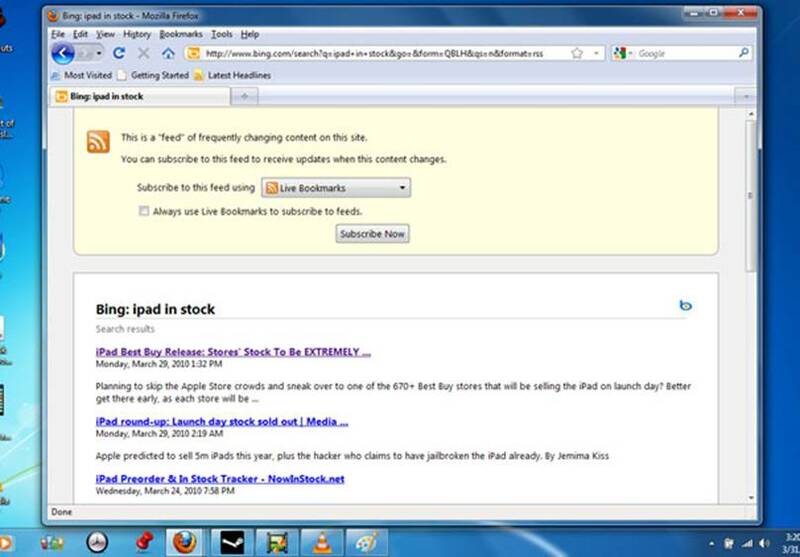 Maybe your RSS reader can forward content as e-mail, and you want to be alerted to updates in a rarely used feed. Enter your 10-digit mobile phone number prefix and carrier suffix, such as 2223334444@txt.att.net. Here’s a list of other carriers. Send text messages from AIM: Your PC can send texts to a mobile phone for free. Within an AIM client, send a text to the number with + and the country code prefix. For example, a San Francisco message might be directed to +14151112222. Mind your eBay reserve: Tiptoe through starting prices when auctioning off an item to save money. If you’re pricing something near eBay’s thresholds of $1, $10, $25, $50, and $200, cut back by just a cent to save yourself a little cash, which can add up for high-volume sales. If you list something at $199.99 for example, eBay charges $1. For a $200 starting price, eBay charges $2. For more information, check out the eBay Fees page. You might stumble over auctions that others haven’t found–which means less bidding competition. If selling, enter a few of those errors into your listing to snare misspelled searches (though probably not in the title–you don’t want to disappear from the correctly-spelled search results). Search Craigslist with RSS: Keeping an eye out for a free leather couch on Craigslist? Save yourself from searching every 10 minutes by setting up an RSS feed for the search results by entering your search within Craigslist and clicking the RSS button in the lower-right to add it to your RSS reader of choice. Download YouTube and Hulu: Watch online videos away from the Internet by downloading them to your PC. The simplest methods usually work best for noncommercial video, such as random YouTube home movies. But at press time, I got StreamTransport to save videos even from Hulu. Play clips back with VLC. Watch high-quality YouTube: Bump up the resolution in supported clips. Just click the number and arrow in the play bar; it’s likely 360p by default. Pick a higher number for the best quality. Link straight to part of a YouTube clip: Instead of sending people to the beginning of a clip, you can create a link that plays from a spot in the middle that you choose. Just add #t=[number]m[number]s to the end of the URL, such as http://www.youtube.com/watch?v=Mf6IQgFxpIA#t=00m11s to begin 11 seconds in. Initiate console game downloads: Microsoft’s Xbox Live site might seem superfluous on a PC. However, you can queue up downloads and activate purchases through your computer, and when you log in back on the console, they’ll transfer automatically. Upload to Flickr through e-mail: Instead of manually uploading photos, you can send them through e-mail. This can work well from an old mobile phone to quickly send pictures from a PC. In the Emails & Notifications tab of the Account options, click Create an upload-to-flickr email address to configure the feature. Search and link to iTunes content in a browser: The iTunes store lives in its own application, but you can access specific apps, songs, searches, or anything else with a URL. To search, try http://itunes.com/[search term] such as http://itunes.com/evernote. If your search comes up with a single result (as in this example), you’ll jump to that page within iTunes. To copy a direct URL to an iTunes store page, right-click an item within iTunes, and choose Copy Link.